Monday afternoon’s attack occurred on the West Ridge Trail at Horsetooth Mountain Open Space near the city of Fort Collins – about 66 miles (106km) from Denver. 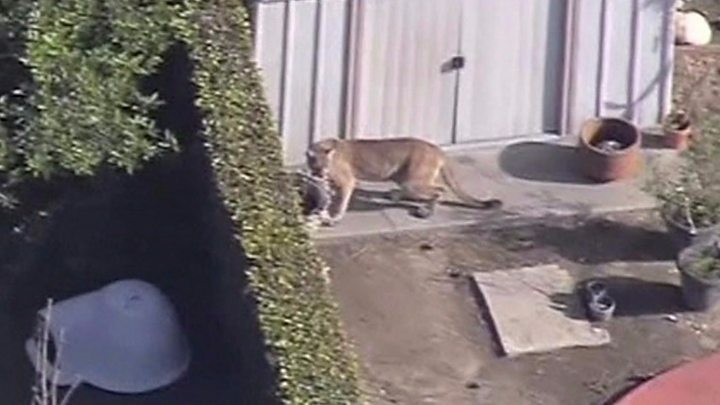 The victim “described hearing something behind him on the trail and was attacked by a mountain lion as he turned around to investigate,” according to an official statement. After killing the predator, the man was able to leave the park on his own and call for help. In a statement, officials the described the wounds to his face, wrist, arms, legs and back as “serious, but non-life threatening”. Officials later found the dead lion, which was determined to be a juvenile male weighing around 80lbs (36kg). “The runner did everything he could to save his life,” said Mark Leslie, CPW’s Northeast Region manager, who did not say exactly how the runner killed the animal. 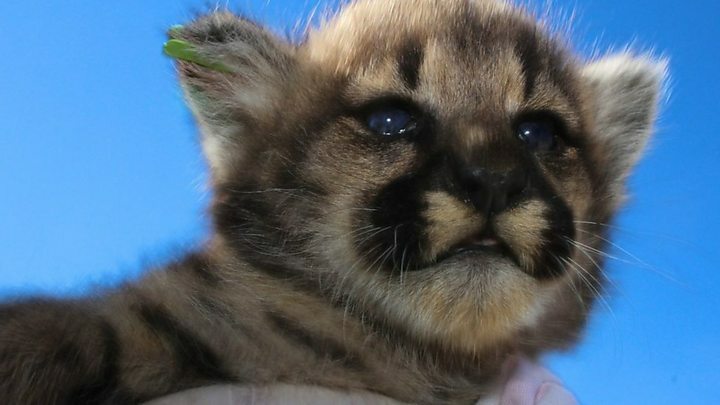 Mountain lion attacks in North America are very rare, officials say – CPW says fewer than a dozen people have been killed in more than a century. Instances of attacks are often seen among sick or starving lions, which normally are elusive and tend to avoid humans. The animal in Monday’s attack has been taken to a nearby lab for a post-mortem examination to be performed. If you ever seen a big cat, authorities say not to run, since that may trigger the lion’s hunting reflexes. “Running may stimulate a lion’s instinct to chase and attack,” the park service said. Instead people should stand firm and make an effort to look larger, and if attacked, fight back using any weapon at hand. “What you want to do is convince the lion you are not prey and that you may in fact be a danger to the lion,” officials said in a statement. “People have fought back with rocks, sticks, caps or jackets, garden tools and their bare hands successfully,” the park statement read, adding that sensitive areas such as the eyes should be targeted first. Last May, one cyclist was killed and another injured by what authorities described as an “emaciated” cougar in Washington state. 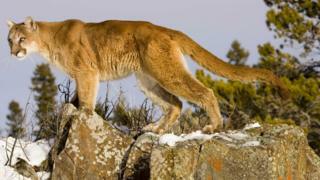 In September 2018, a hiker in Oregon was found dead in what officials suspect was the state’s first ever fatality caused by a wild mountain lion.